In May, we asked all junior doctors in Leeds Teaching Hospital Trust what we could do to improve your working lives, via a Wayfinder campaign. We had fantastic engagement with the campaign with around 200 of you getting involved. As a result of your contributions, it has become clear which areas need addressing – some of which can be dealt with quickly, whilst others need a bit more time and thought. The results of the campaign have been presented at numerous senior management and consultant meetings, to raise awareness of the issues you are all facing. Julian Hartley (CEO), Yvette Oade (Chief Medical Officer) and the Clinical Directors of all your departments have listened to and acknowledged your concerns, and they all share a real enthusiasm for making LTHT a flagship for improving junior doctor morale. We did: We are in the process of developing a One-Stop Website which aims to have all the information you will need to know in order to work as a junior doctor in LTHT– this will soon be available here. We did: What a brilliant idea! Departments are now being encouraged to invite trainees onto these interview panels. We are pleased to hear that Paediatrics has a trainee on the panel later this month. We did: LTHT is now looking at different ways of allocating workload and improving the bleep system. This may take some time so bear with us whilst we work out the details. We did: There is now a policy in place to ensure trainees can get time off for important personal and professional events, even if you are struggling to swap your on-call/night shifts etc. This is currently available on the Intranet (and will soon be available on the Medical Education Leeds website) but you can ask Deployment for more details. junior doctor recommends LTHT as a place to work. 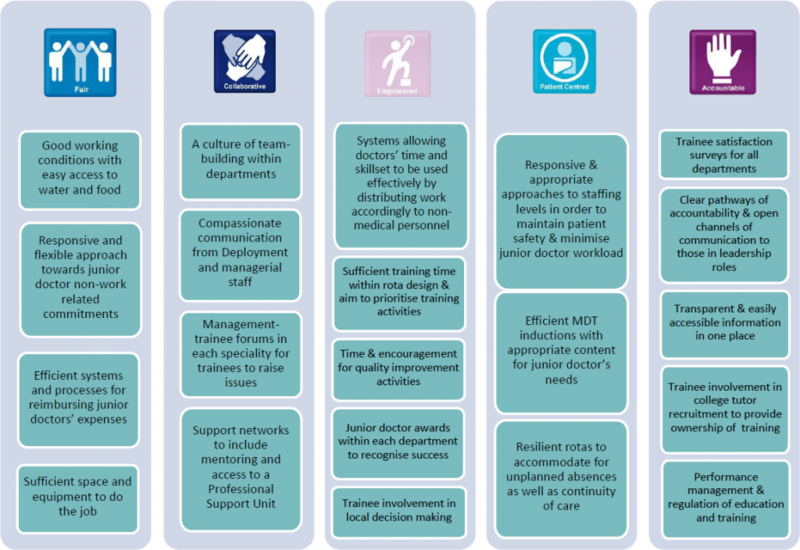 the values that are important to LTHT as an organisation also apply to them. Have a look and let us know any further comments you may have. can get involved with the Junior Doctor Body – check out https://www.medicaleducationleeds.com/jdb/ for more details.